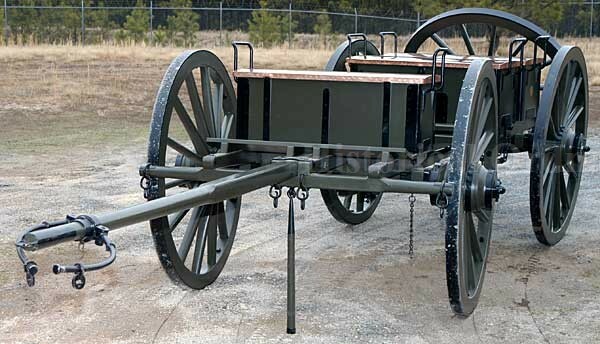 Each gun would have been served by one Caisson with limber. 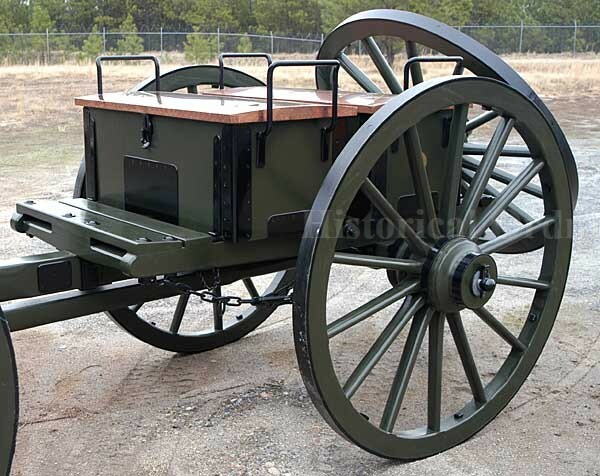 The Caisson was equipped with one shovel, one pick mattox, one axe, one spare handspike, one spare limber pole and one spare wheel. 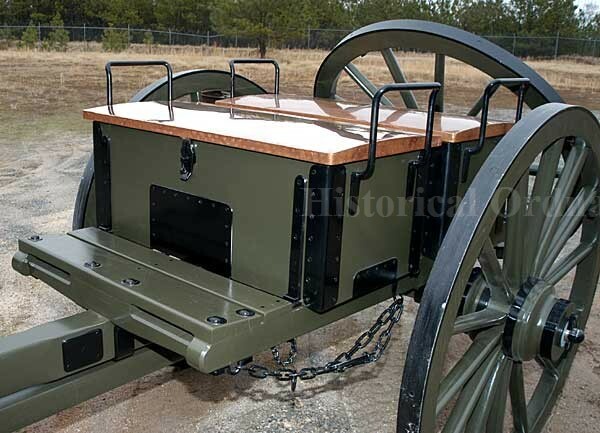 In addition to the ammunition chests with up to 150 rounds of ammunition (depending on the gun served). 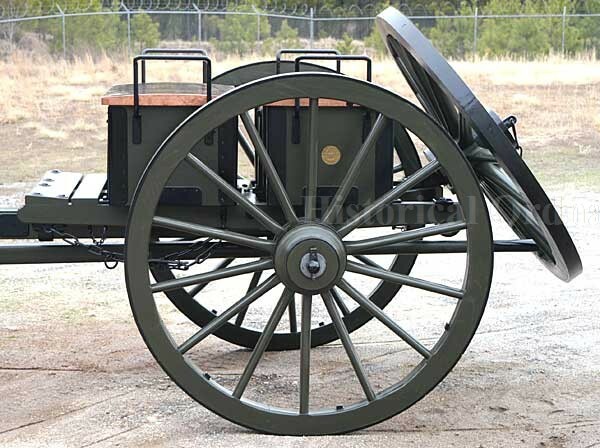 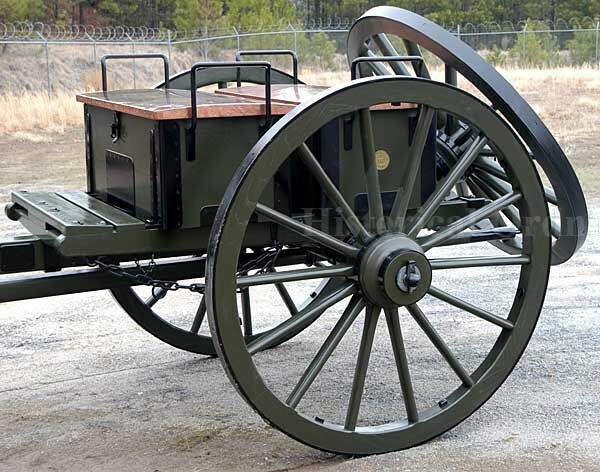 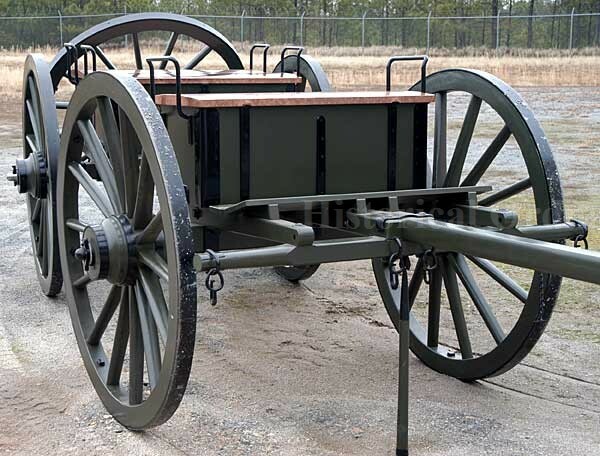 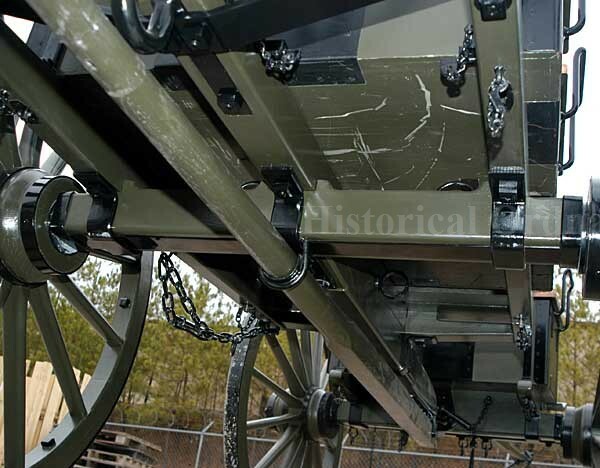 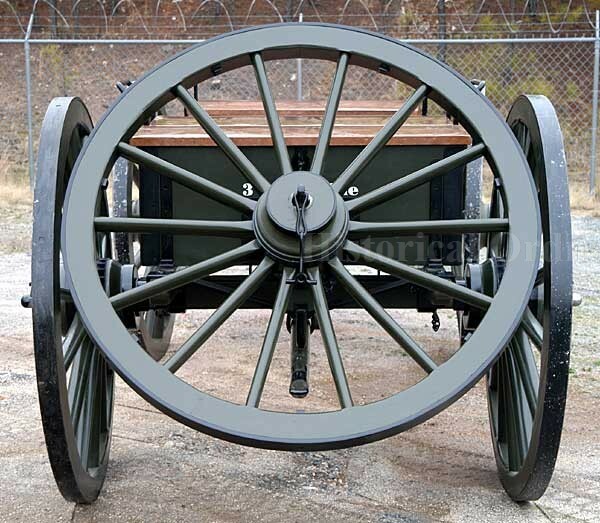 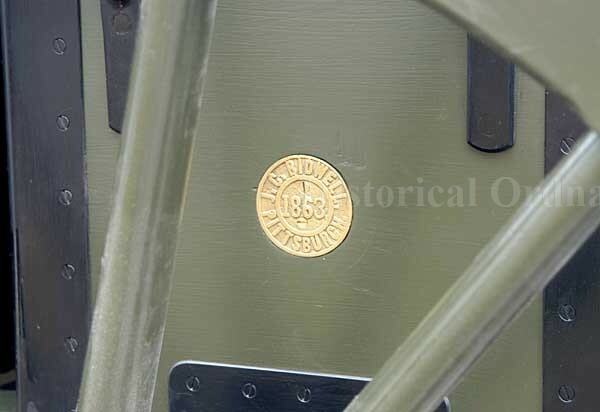 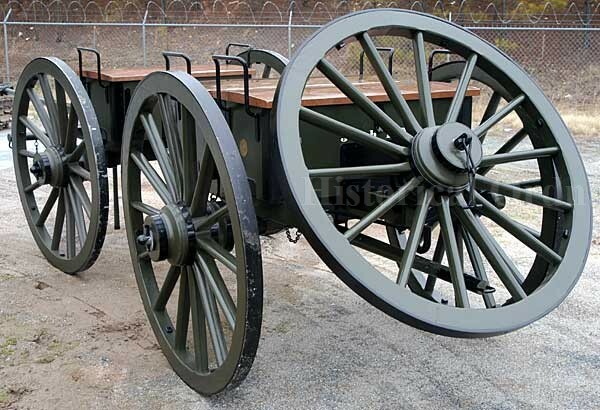 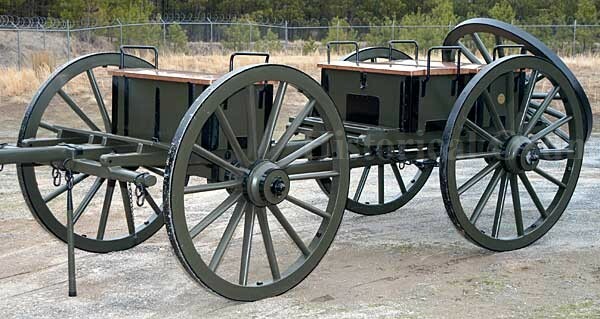 The Caisson also was provided with a hook mounted below the spare wheel axle to pull a gun carriage from the field when it&apos;s limber became disabled.